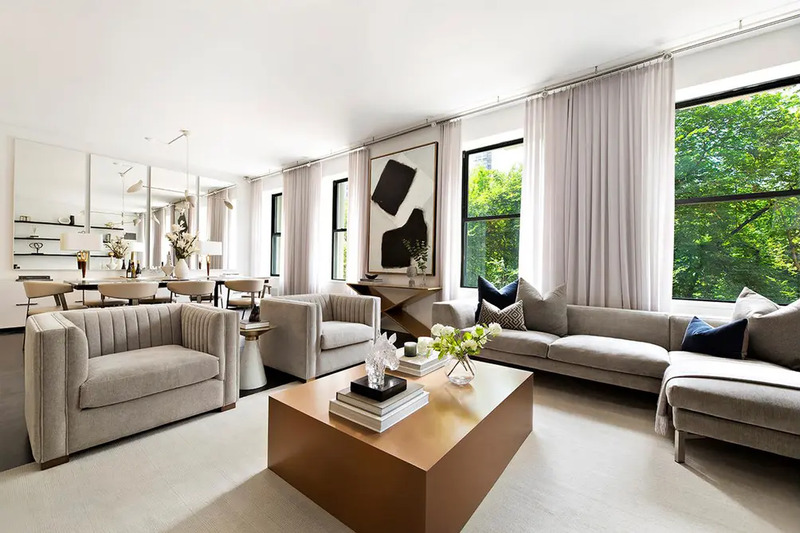 When looking at luxury apartments in New York, some buyers are under the impression that they have to choose between classic prewar co-ops and modern condominiums. 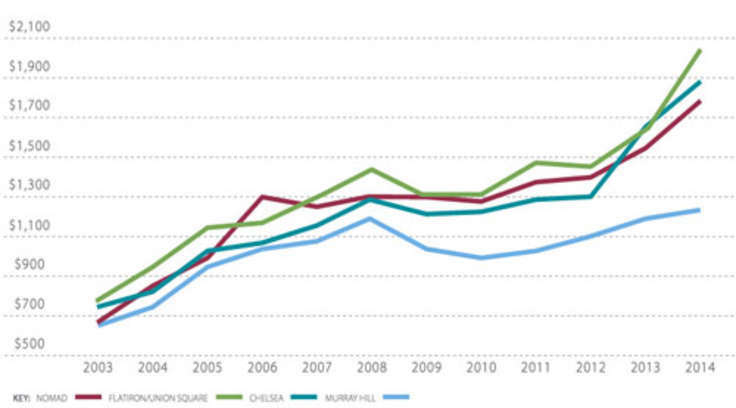 However, thanks to thoughtful renovation work, it is possible to have the best of both worlds all over the city. 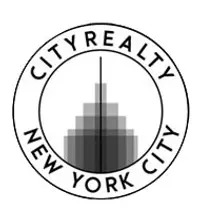 The past week saw 885 new listings come on the market, and we have chosen the most striking below. 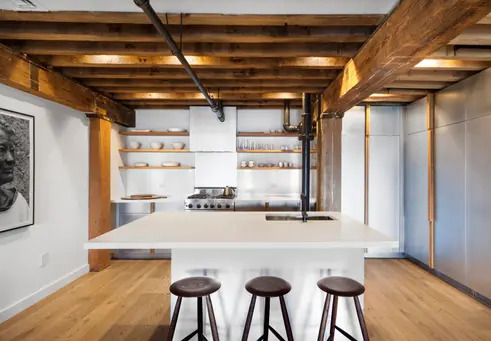 Exquisite apartment in a former spice warehouse masterfully combines 19th-century details with modern finishes and appliances. 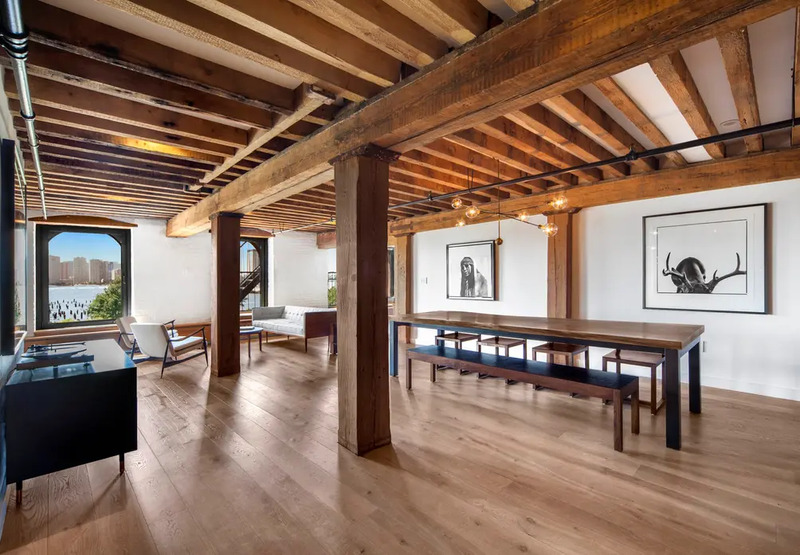 Whitewashed brick walls, arched picture windows, exposed beamed ceilings, and century-old pine beams and columns nod to Tribeca's rich history. 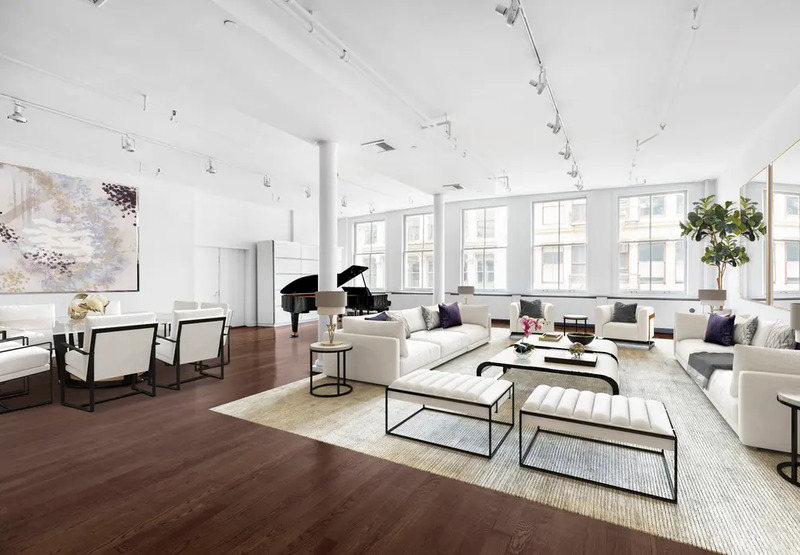 However, the state-of-the-art chef's kitchen, spa-like master bath, in-unit washer/dryer, in-ceiling speakers in major rooms, and incredible closet space thoughtfully address the contemporary buyer's needs and wishes. See floor plan and full details here. 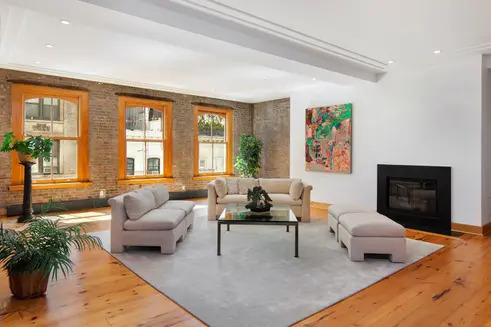 "Art-studio" duplex just off Central Park boasts an artful renovation, but not at the expense of the massive windows, gorgeous archways, and other details dating back to the early twentieth century. 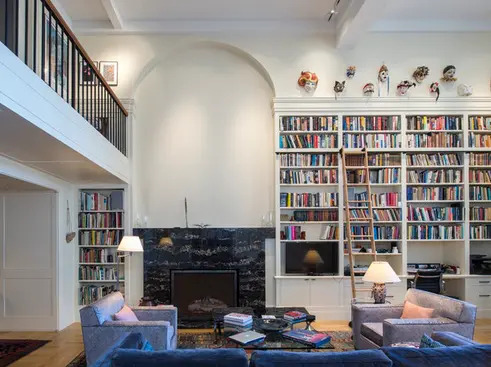 The double-height living room boasts 17' ceilings, working fireplace, generous built-ins, and long wall of bookcases with library ladder. 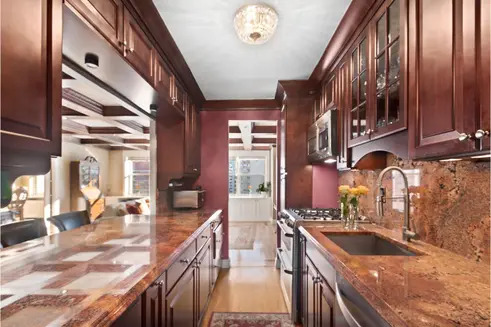 The chef's kitchen has been enhanced with high-end appliances and a large center island. See floor plan and full details here. 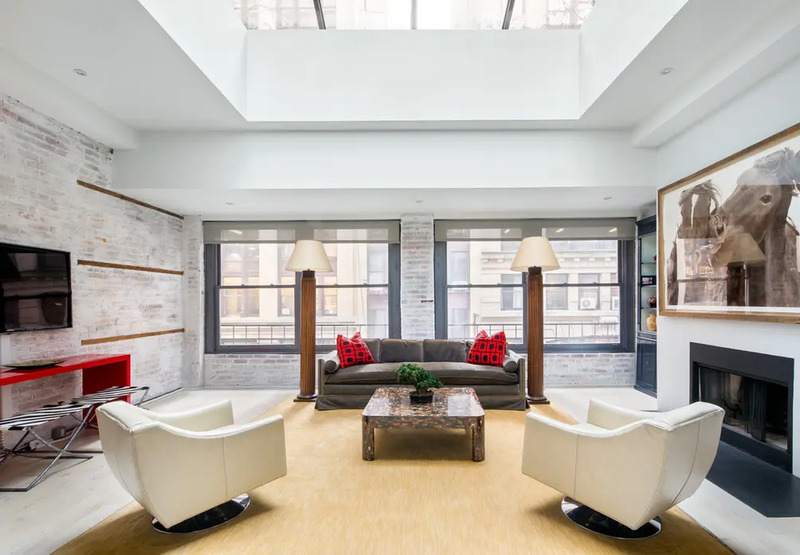 Corner unit in a vibrant post-war co-op is enhanced with an open floor plan, coffered ceilings, and 19 south- and east-facing windows filling the apartment with light and open city views. 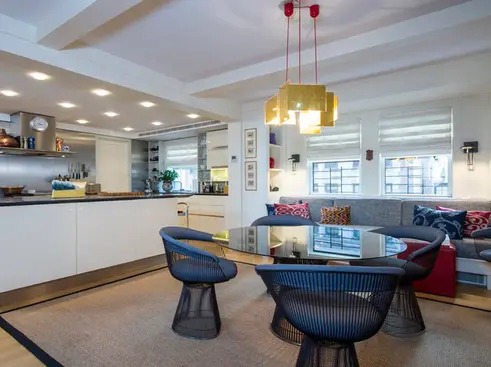 The inviting living room flows seamlessly into a chef's kitchen with granite countertops and backsplash, built-in island bar, butler's pantry, and stainless steel, restaurant-quality appliances. 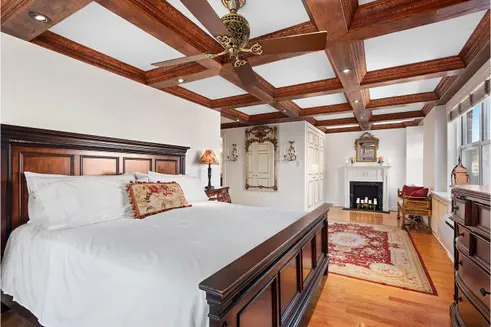 At the opposite end of the apartment, the spacious master suite features a decorative fireplace, private balcony, and luxurious bath with jacuzzi tub and his-and-hers sinks. See floor plan and full details here. 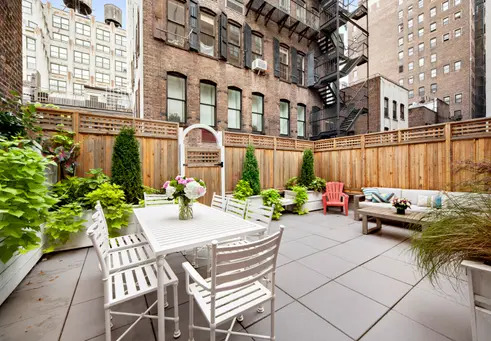 Between the soaring ceilings, walls of windows, wood-burning fireplace, and private outdoor space, this penthouse gives the feel of a private townhouse. 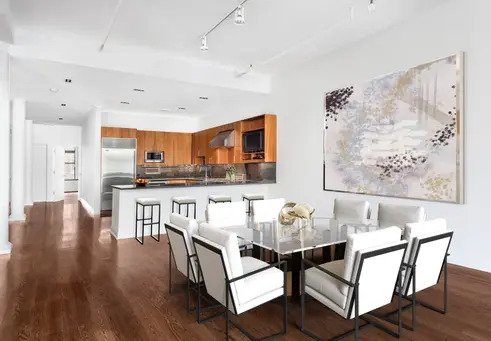 Just off the skylit living room, an open chef's kitchen is outfitted with Carrera marble countertops, top-of-the-line appliances, and endless custom cabinetry. 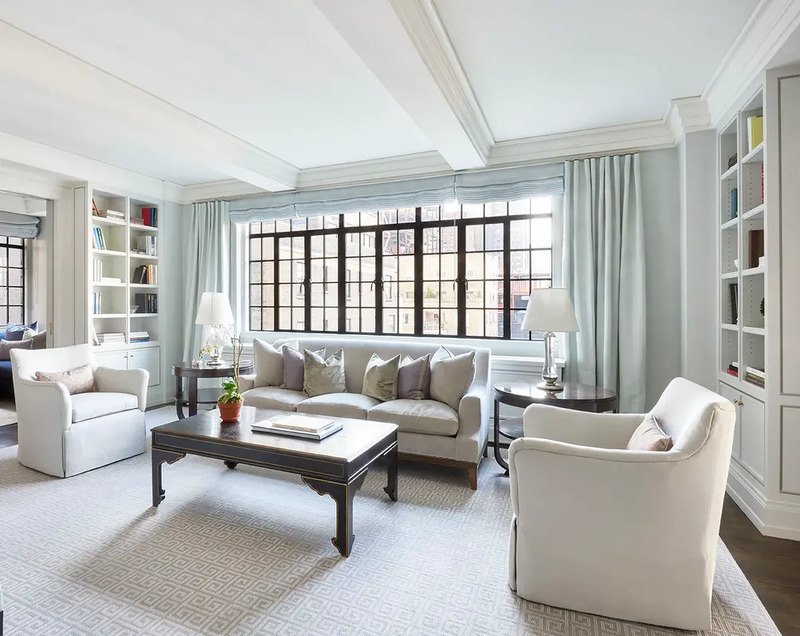 At the top of the stairs, the library and master suite each have their own private terrace. See floor plan and full details here. 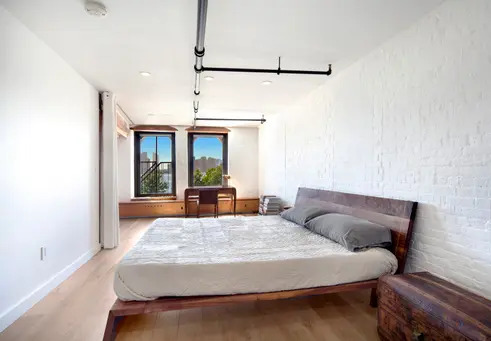 This sprawling condo is in the Soho Cast Iron Historic District, and historic elements come through in its soaring ceilings, classic columns, and wall of oversized windows. 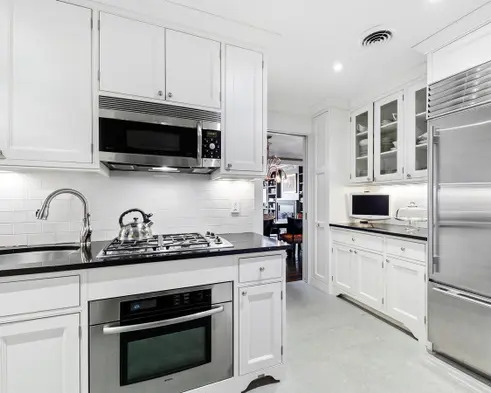 Just off the massive entertaining area, the chef's kitchen boasts a center island, granite counters, custom cabinetry, and state-of-the-art appliances. 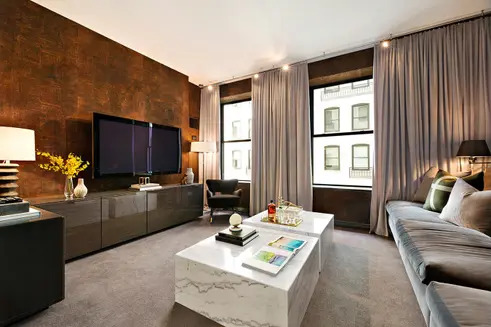 Both bedrooms are separated from the living area for optimal privacy, and the master suite offers incredible light, two fully fitted closets, and luxurious marble bath. See floor plan and full details here. 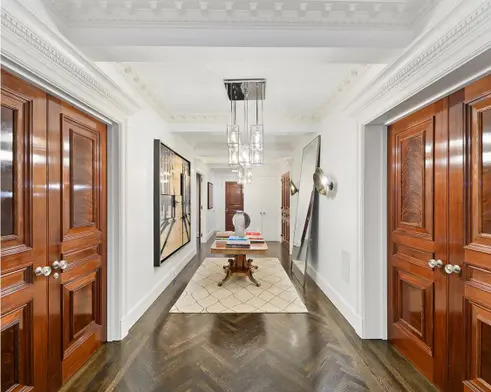 Highly coveted home faces Madison Square Park and boasts soaring vaulted ceilings, hardwood floors, impressive proportions, and state-of-the-art infrastructure and smart home system. 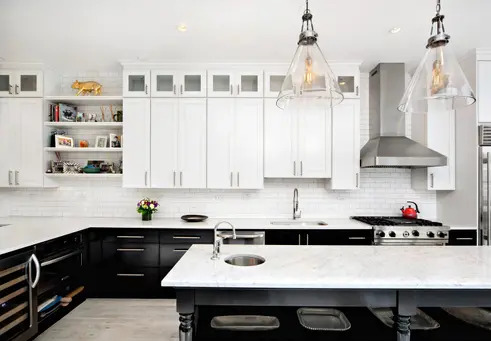 The open chef's kitchen comes built with custom millwork, breakfast bar, and high-end appliances. 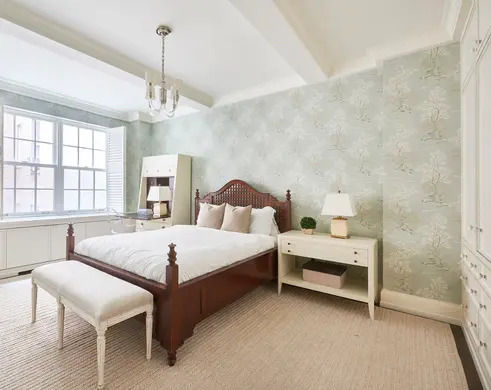 All bedrooms offer luxurious comforts, and one of them was converted to a media room with a top-of-the-line sound system. See floor plan and full details here. 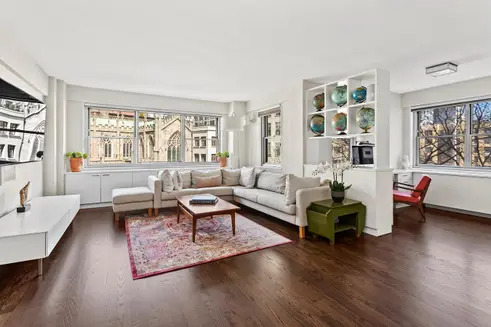 In this prime Upper East Side building, a prime prewar layout has been masterfully updated for contemporary living with custom additions and top-of-the-line appliances and finishes. 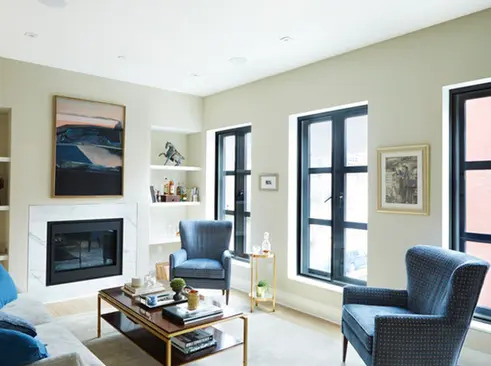 A magnificent gallery leads to the massive living room with wood-burning fireplace, coffered ceilings, and custom recessed lighting. 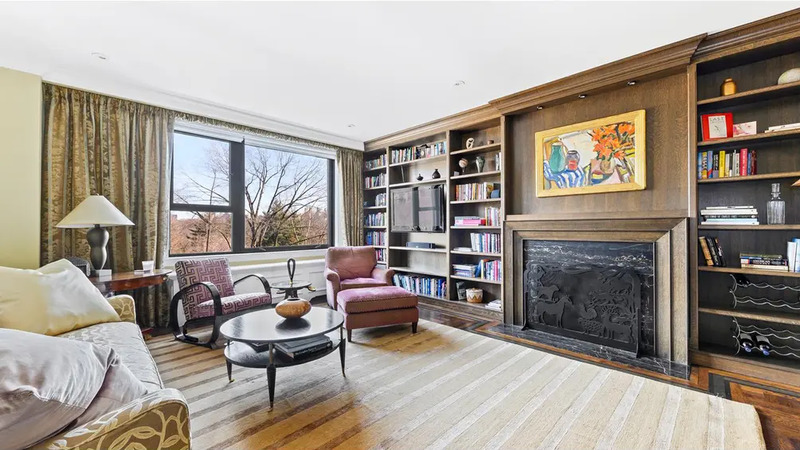 Just off the grand foyer, a beautiful, mahogany-paneled library is ideal for entertaining or quiet reflection alike. See floor plan and full details here. 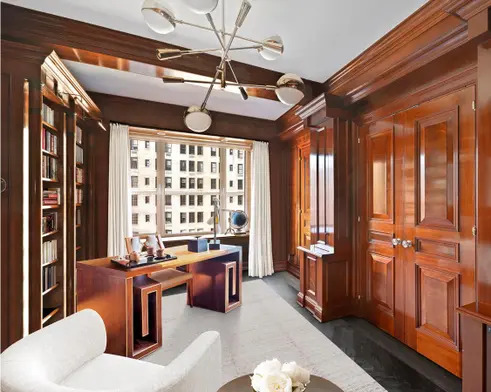 Nearly every room in this classic co-op looks out on direct Central Park views from oversized windows, and the spacious living room is further enhanced with a wood-burning fireplace and elegant oak built-in shelves. 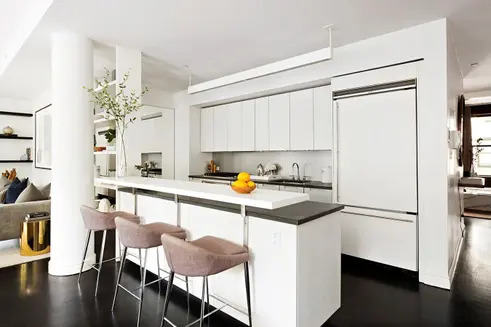 A formal dining room is connected to the windowed kitchen, which is equipped with custom cabinetry, Caesarstone counters, and top-of-the-line appliances. 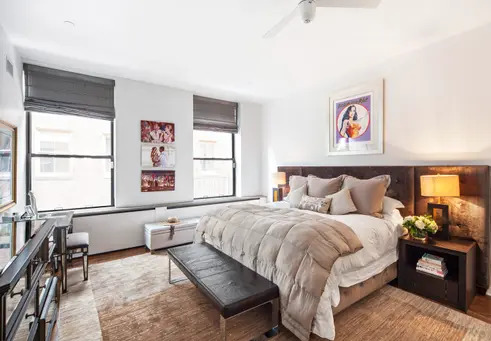 Both bedrooms have en suite baths, and the master suite has three closets, including one walk-in. See floor plan and full details here. 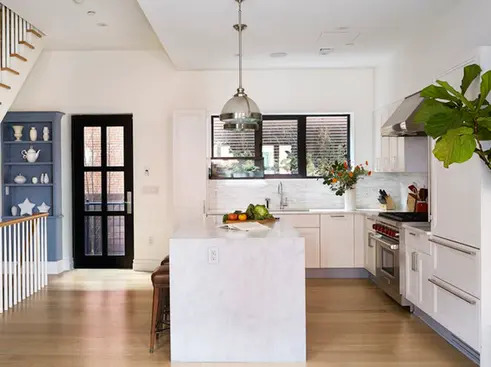 Recently constructed home combines an old-world Brooklyn townhouse with a modern condominium. 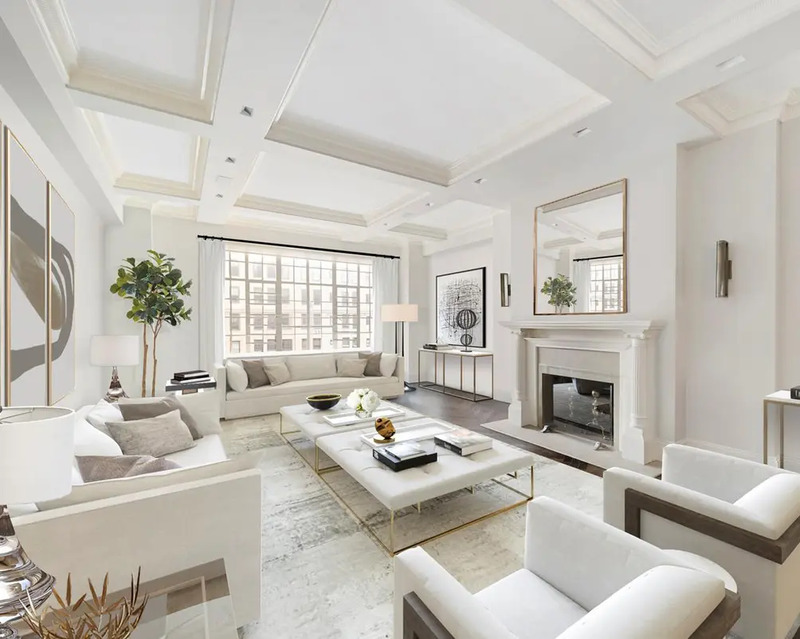 Features include chef's kitchen, gorgeous entertaining space, luxurious master suite, large bedrooms, screening room with wet bar, and private backyard. 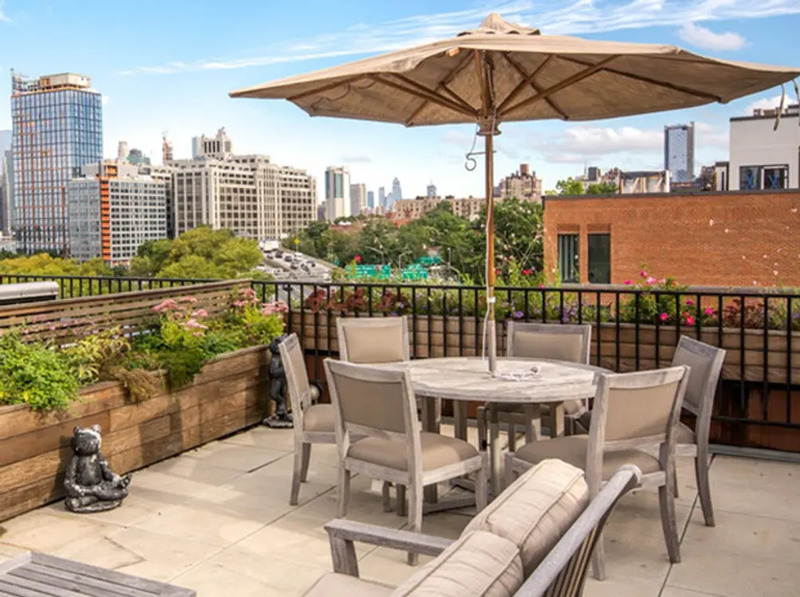 The crowning glory is a private roof deck with panoramic views of New York Harbor and the Lower Manhattan skyline. See floor plan and full details here. 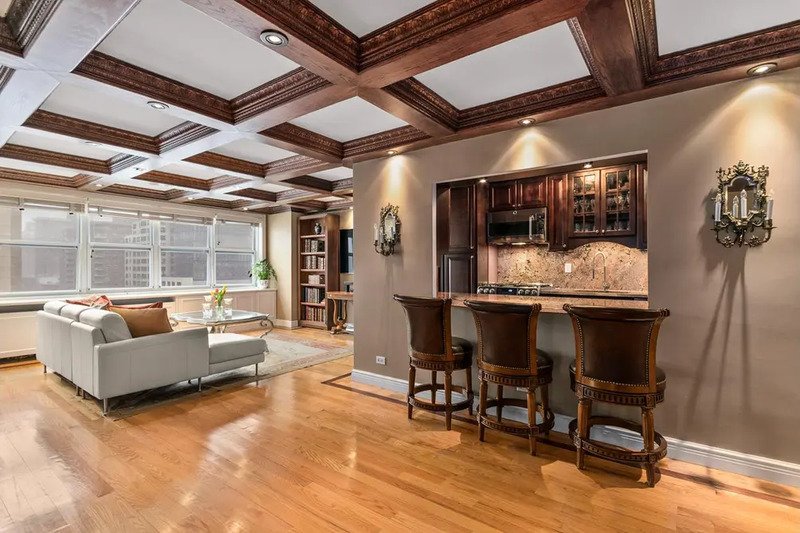 High-floor home in a prime East Side location has undergone a meticulous renovation to bring out its light, space, and charm. 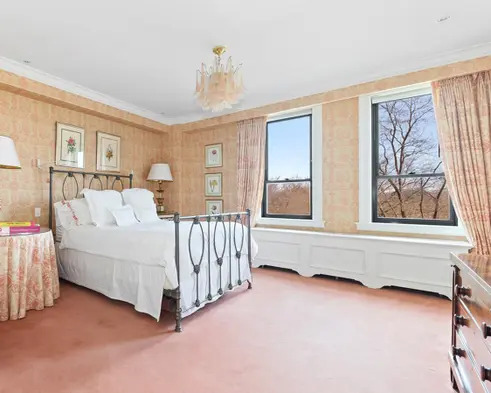 All entertaining rooms feature artfully designed built-ins, as do the bedrooms, and distinctive casement windows. 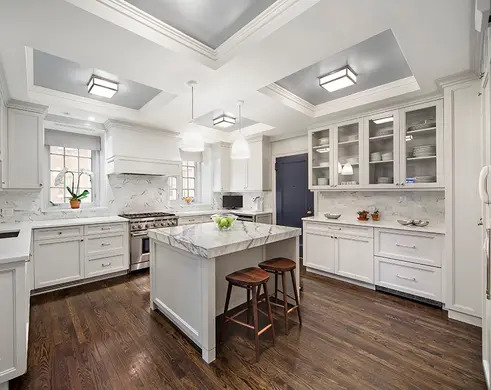 Just off the formal dining room, a windowed chef's kitchen is equipped with high-end appliances, marble and glass counters, and inviting island/breakfast bar. See floor plan and full details here.